Black holes are some of the strangest and most unique objects in our universe; they are also among the most fascinating! If you have ever wanted to know more about these mysterious objects, then "Journey to a Black Hole" is for you! 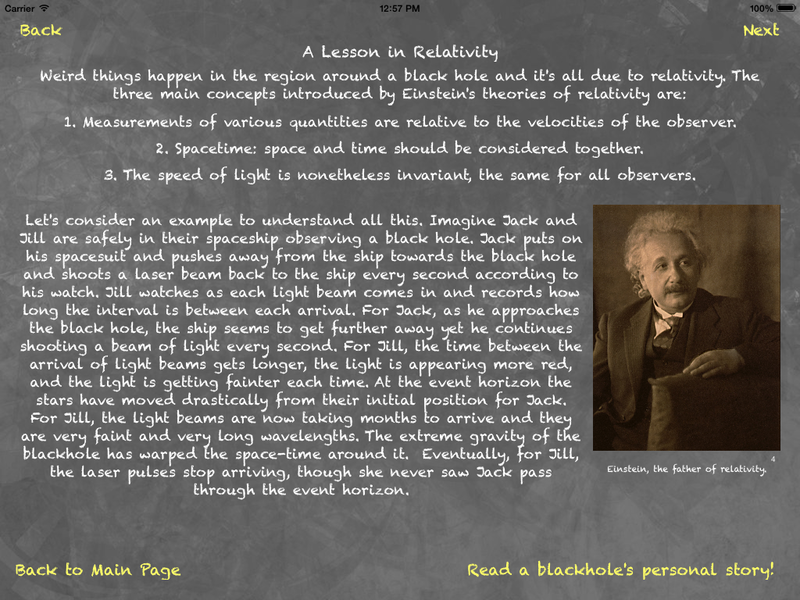 It's a fun, interactive, educational app designed for the iPad to teach children of all ages about the physics and astronomy of black holes. See what strange things would happen if an astronaut were to fall into a black hole. See what it would look like if YOU fell into a black hole. Learn about some of the black holes astronomers have found in our own galaxy. 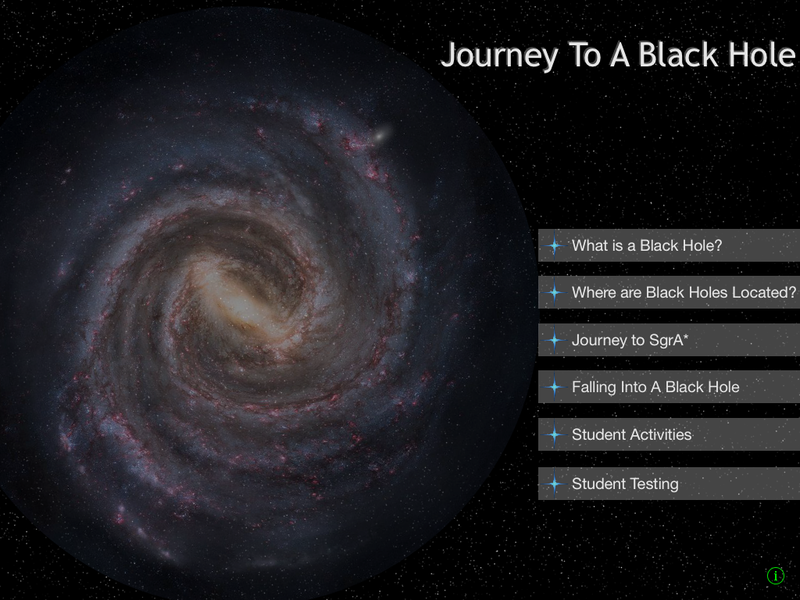 Take a journey to the supermassive black hole at the center of the Milky Way. The app also includes lesson plans, experiments, and testing modules designed for classroom use in grades K-5, 6-8, and 9-12. This material is based upon work supported by the National Science Foundation under Grant No. AST-1211230.